Bottom Line: Jonnyguru reviewed the Ultra Aluminus PC Case and despite having some reservations about having a door over the drive bays gave the product an editors choice rating. 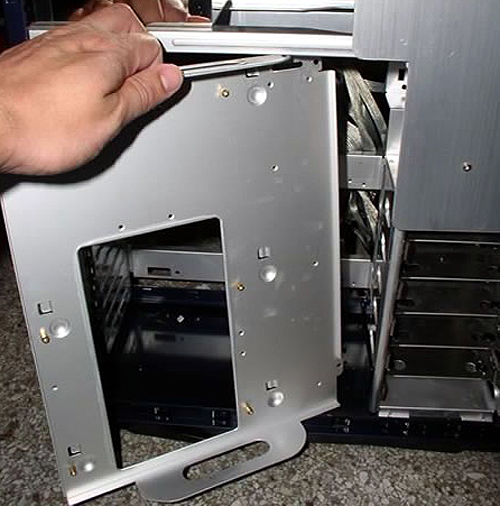 We start our build by removing the aluminum motherboard mounting tray. This tray is screwed into place with only two screws. All of the stand-offs required to mount the motherboard is included with the case. 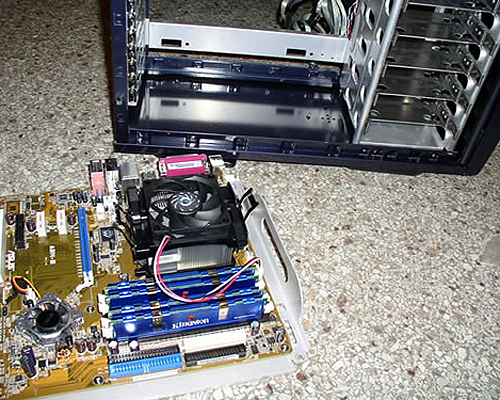 Once the motherboard is mounted to the tray, we can install the tray back into the motherboard. 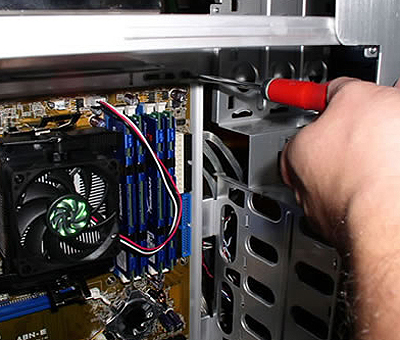 In the above picture, you can see my hairy arm screwing the motherboard tray back into place. After going through this process I did realize that, for the sake of hiding all of your cables, you may not want to pull the tray out of the case in order to install your motherboard. For example, the Asus A8N-E I installed in this build for my daughter has it's 2x2 12V connector located in the back upper quadrant of the board. With my X-Finity's FlexForce cables, I'm able to easily route the 2x2 cable underneath the motherboard. Naturally, if I had a modular power supply like Ultra's new X-Connect X2, I could actually route the cable underneath the motherboard outside of the case, and then plug the cable into the motherboard once the tray is installed back into the case.